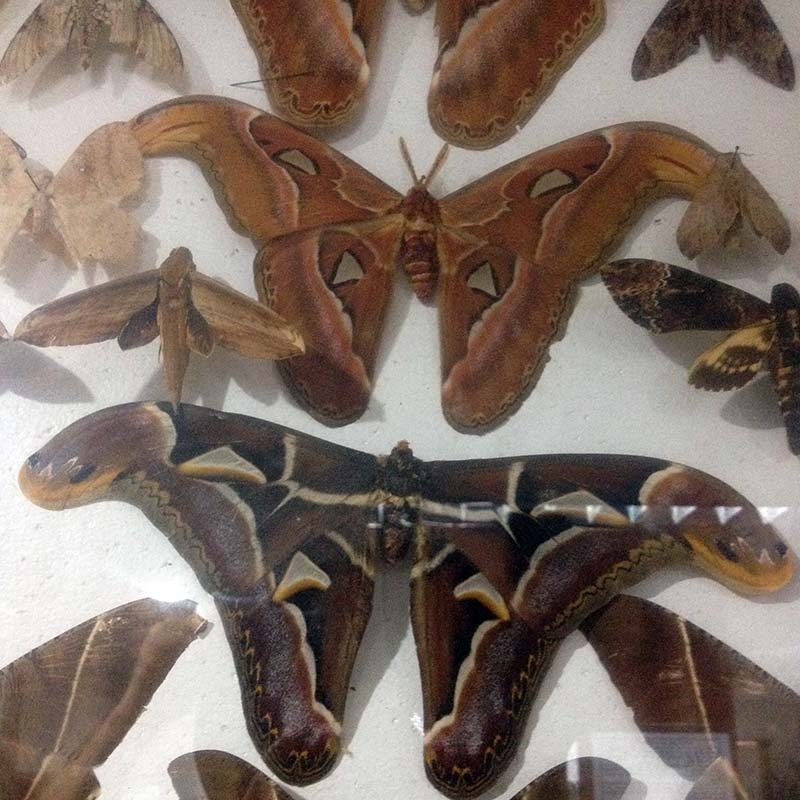 Chiangmai boasts not one, but two insect museums. They are definitely not for the faint of heart. I will spare you images of the massive stick and leaf bugs, as well as various spiders and creepy beetles, and get to the good part - the butterflies! The array of colors, shapes, and sizes was amazing - from tiny iridescent butterfly specimens to gigantic moths. Many were native to Thailand, but also lots of Malaysian species, and other parts of Asia as well. They're all part of the private collection of the malaria researcher and his wife who run the museum in their retirement.